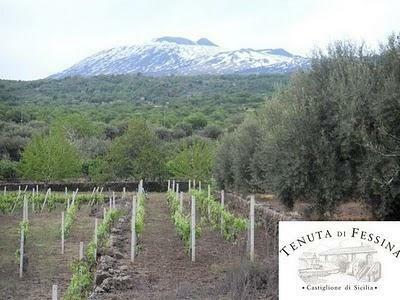 Founded in 2007 by winemaker Silvia Maestrelli and her husband, Roberto Silva, the Fessina Estate is located in the small village of Rovittello, about eight miles east of Randazzo. Given its distinct location, the terroir of the vineyards is composed of centuries-old lava deposits that yield strikingly individual wines in a class by themselves. In addition to the main estate, the winery includes two additional vineyards -- a tribute to Sicily's incredibly fertile, bountiful landscape. Tenuta di Fessina is a testament to the beauty and splendor of its surroundings and the magnificence of the region is reflected in the wines. Wine Enthusiast 91This fragrant red opens with blue flower, wild strawberry, red berry and a note of baking spice. The vibrant, linear palate delivers crushed cherry, red raspberry, white pepper, flinty mineral and thyme alongside polished tannins and bright acidity.